This tiny frog souvenir came from Jamaica. The frog measures only 7 millimeters from head to tail. It is very small indeed. 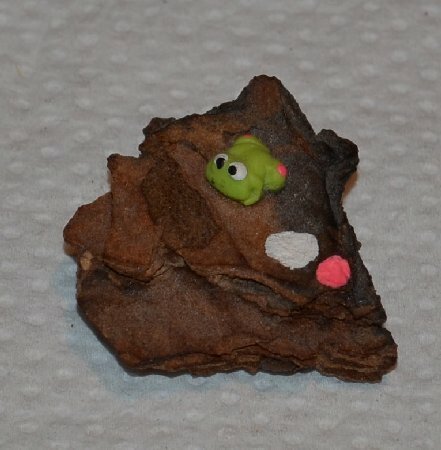 The frog seems to have been made by extruding colored plaster or some material from a small dropper in the same way that butter cookies are made with a cookie press. Considering the small size, it is amazing that the eyes and other details turned out so well.